"The GT Radial GAR821 and GT659+ greatly exceeded our expectations." FEMSA Logistica is one of the prestigious transportation companies in Panama that provides freight service for a wide variety of goods. Currently, FEMSA Logistica serves Coca-Cola, Estrella Azul, and Feduro among other outstanding companies in Panama. With a fleet of over 300 transportation vehicles, FEMSA Logistica continues to seek different ways to improve tire costs. On January 11, 2013, performance trials were held by FEMSA Logisitica in Panama. 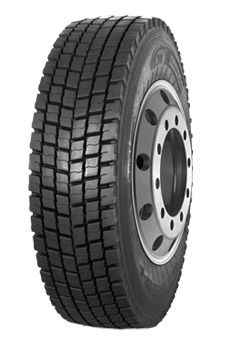 The tested tire patterns GT Radial GAR 821 and GT 659+ achieved remarkable results in terms of mileage and performance. Auto Llantas, a Giti Tire dealer in Panama, monitored tire pressure and tread wear by providing after sales service 18 hours per day through the GT Assist program that services the whole country. "The GT Radial GAR821 and GT659+ greatly exceeded our expectations; through the performance trials they showed to be very resistant and long lasting. Cost per kilometer savings was improved with these models and robust casings are sure to be retreaded. 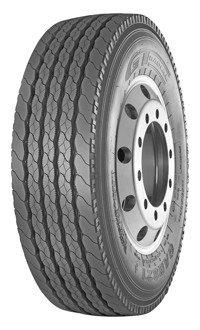 We are now installing GT Radial tires exclusively on our transportation equipment."